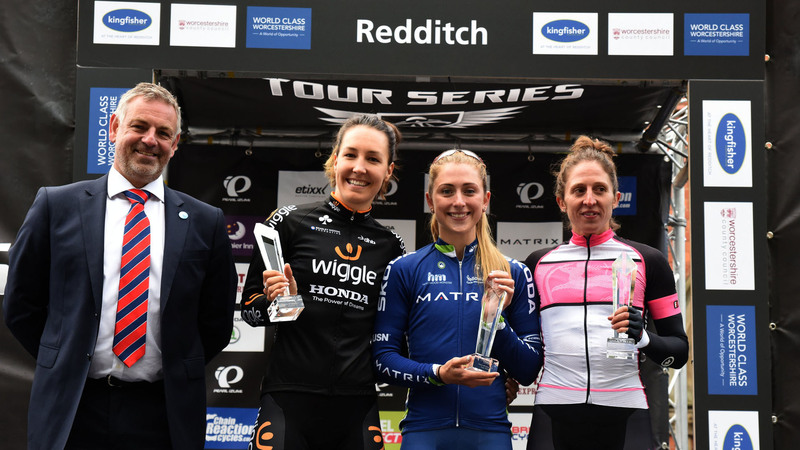 (L-R) Becky James, Katy Marchant, Victoria Williamson. 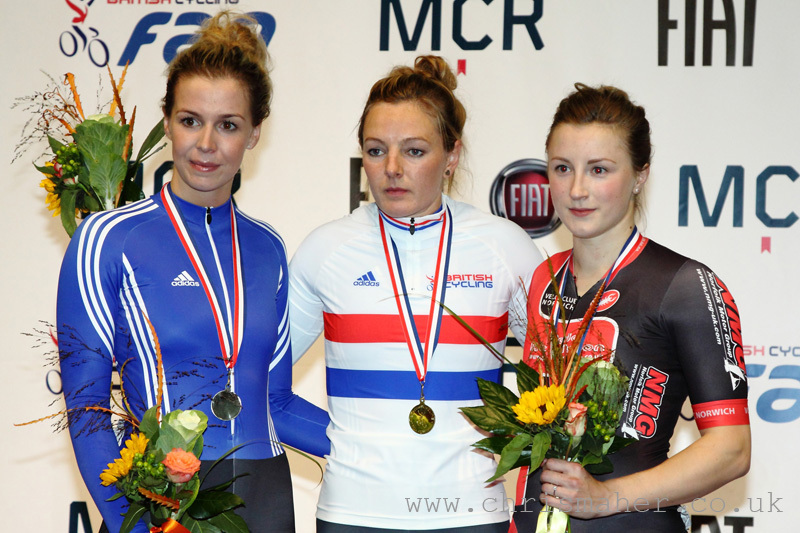 Results from day one of competition at the National Cycling Centre in Manchester where Laura Trott and Andy Tennant took the individual pursuit titles, Katy Marchant won gold in the women’s sprint, Matt Crampton took gold in the men’s keirin, Sophie Thornhill and Helen Scott (pilot) took the para-cycling time trial BVI title and an inspirational Kadeena Cox won her first national para-cycling time trial title (C1-5). 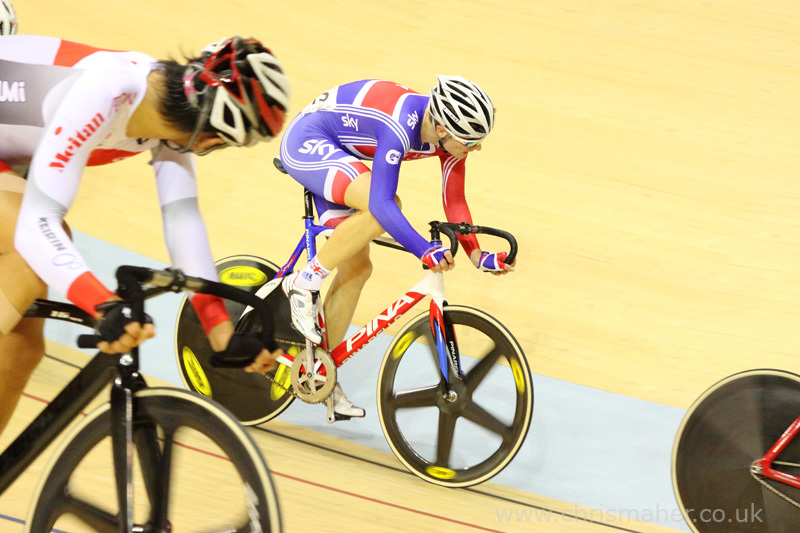 Defending Champion Jessica Varnish starts her Sprint Jersey with the second fastest 200m Flying Lap whilst Katy Marchant leads the way with a 11.030. 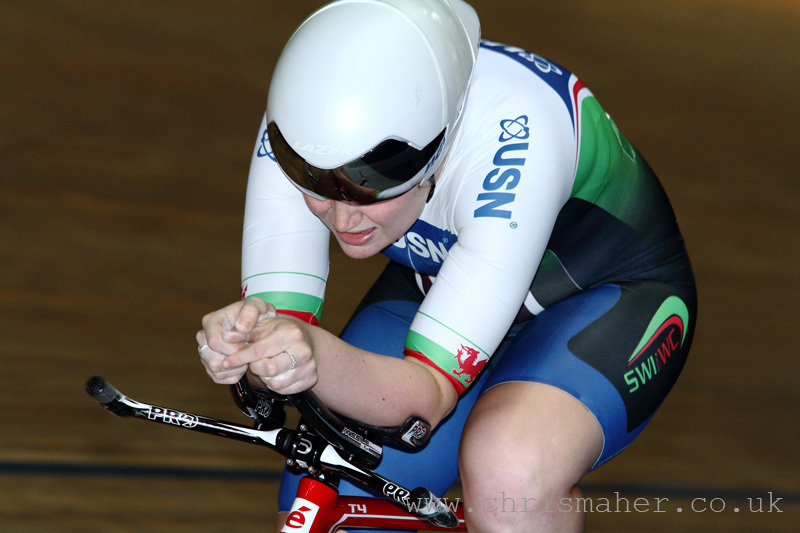 Up-coming Victoria Williamson sets a 11.270 behind former Double World Champion Becky James at 11.294. The top twelve riders qualify to the next heat. Neah Evans takes an impressive first heat against Katy Marchant. 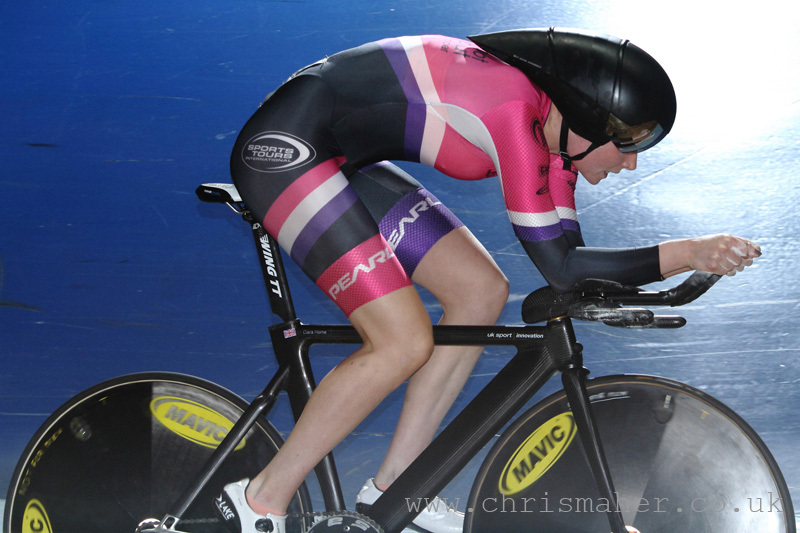 Katy Marchant re-joins the event the harder way, through the repechage. 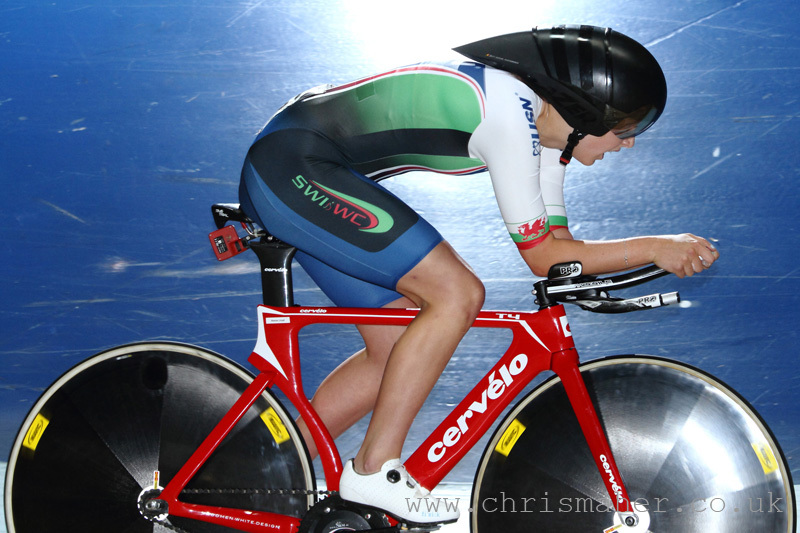 Eleanor Richardson also re-joins the event through the repechage heat two. 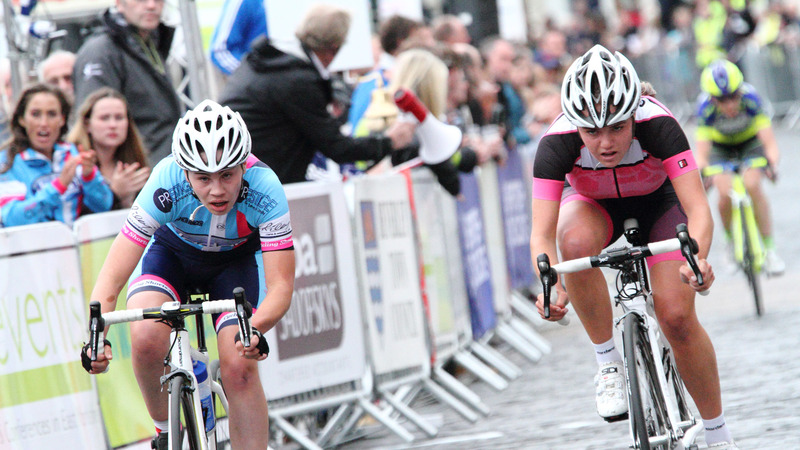 The biggest upset of the afternoon was defending Sprint Champion Jessica Varnish losing out to Katy Marchant in the quarter finals. Andrew Tennant Team WIGGINS qualifies quickest in the final heat of the 4000m IP setting a time of 4.23.908, beating Germain Burton 100% ME by almost a second. Team mate Jon Dibben qualifies third with Mathew Gibson fourth. 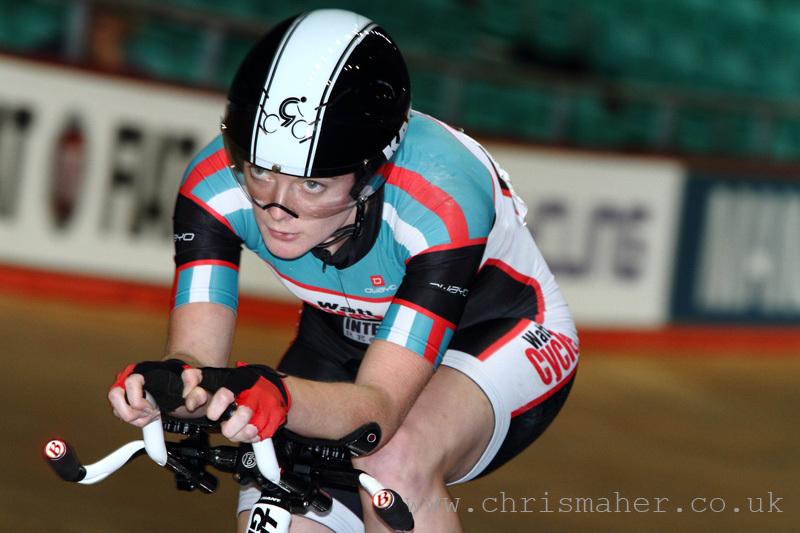 Defending Women’s 3000m IP Champion Katie Archibald (Pearl Izumi Sports Tours Int’l) qualifies quickest in the final heat for Gold play-off in a time of 3.31.327. 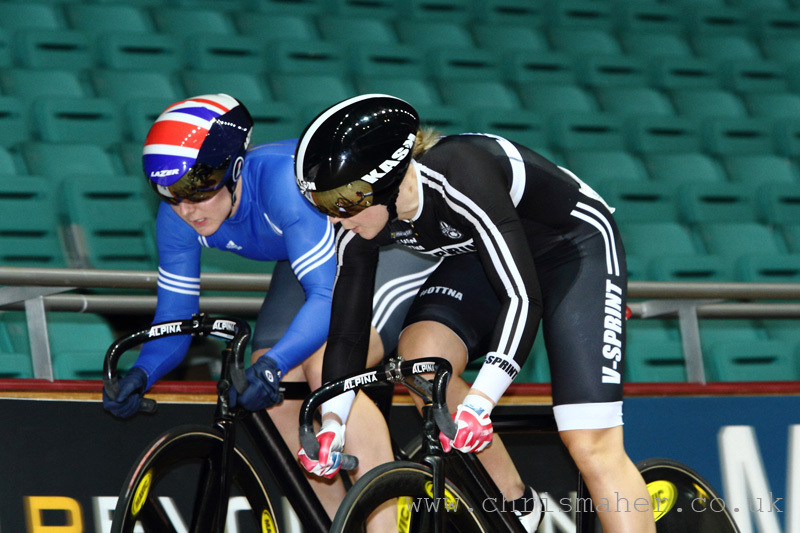 Laura Trott set the bench mark in the previous heat taking three seconds off Archibald’s Team Mate Ciara Horne, whom had led at that point. 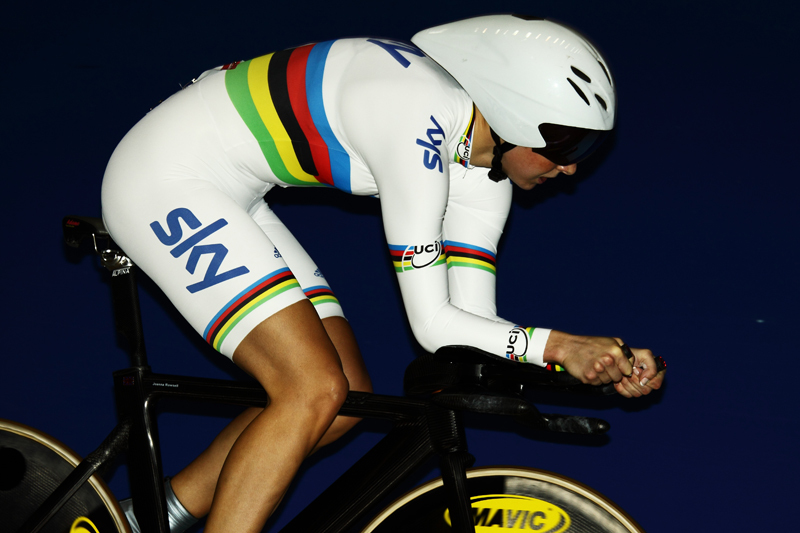 Joanna Rowsell Shand will join them for the bronze medal playoff later this evening. 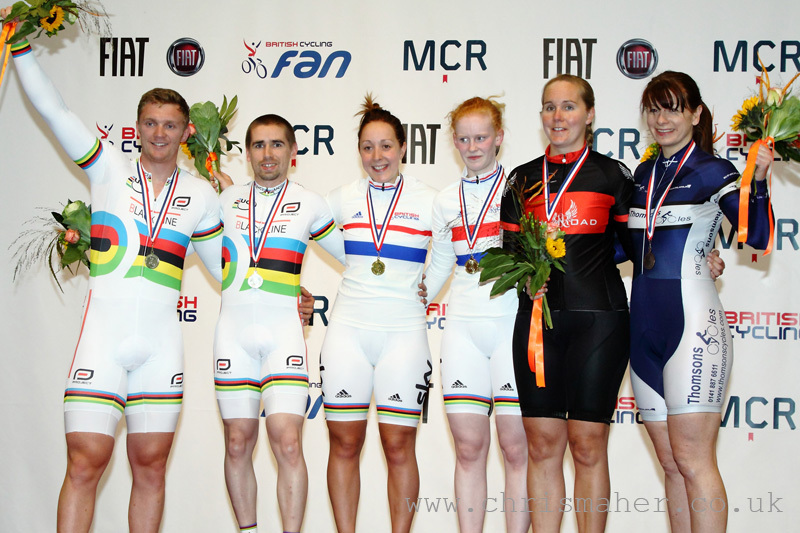 The first podiums of the event were the Mixed Para Cycling C1-5 Standing Start Time Trial Category. 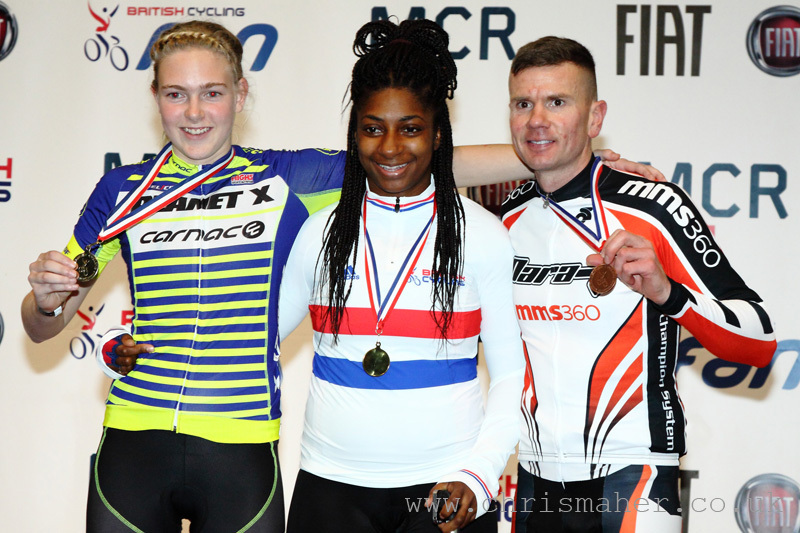 Collecting the Gold Medal and the new National Champion was Kadeena Cox, FC2, Unattached setting a factored time of 1.00.534. It wasn’t what she expected, telling the audience afterwards. Silver went to Lauren Booth, YBFC4, Carnac-Planet X with a factored time of 1.07.602. The second podium of the event before breaking for the evening session was the Mixed Para Cycling BVI Standing Start 1000m Time Trial Category. 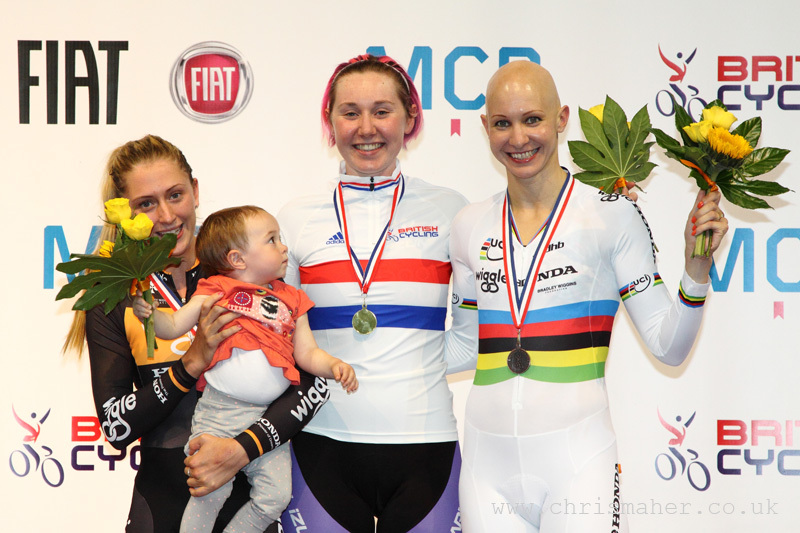 World Champions Sophie Thornhill and her pilot Helen Scott, both Performance Cycle Coaching collected the Gold Medal to become the new National Champions. Setting a factored time of 1.00.265. 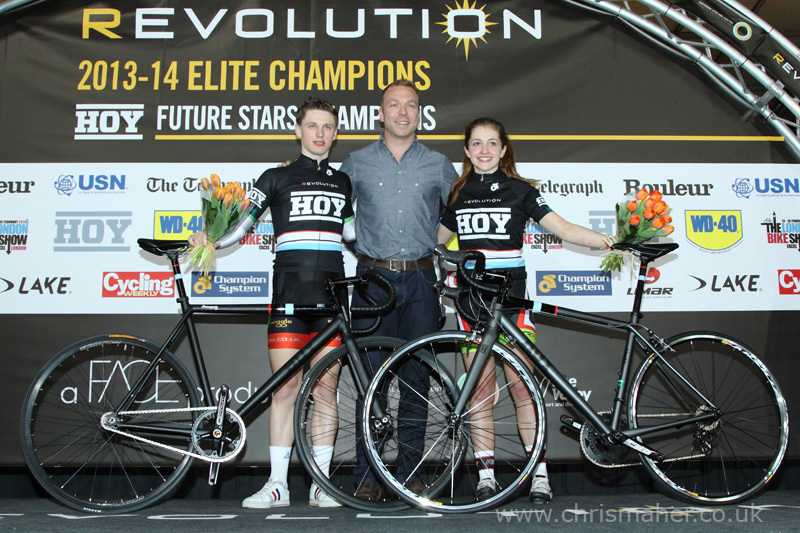 Both girls had given it all they had to clinch the title, afterwards they lay on the floor giggling with joy! Silver Medal went to World Champions Neil Fachie and his pilot Peter Mitchell, both Black Line, setting a factored time of 1.02.631. Pete Mitchell (L-R), Neil Fachie, Helen Scott, Sophie Thornhill, Laura Cluxton & Lyndsay Carson. 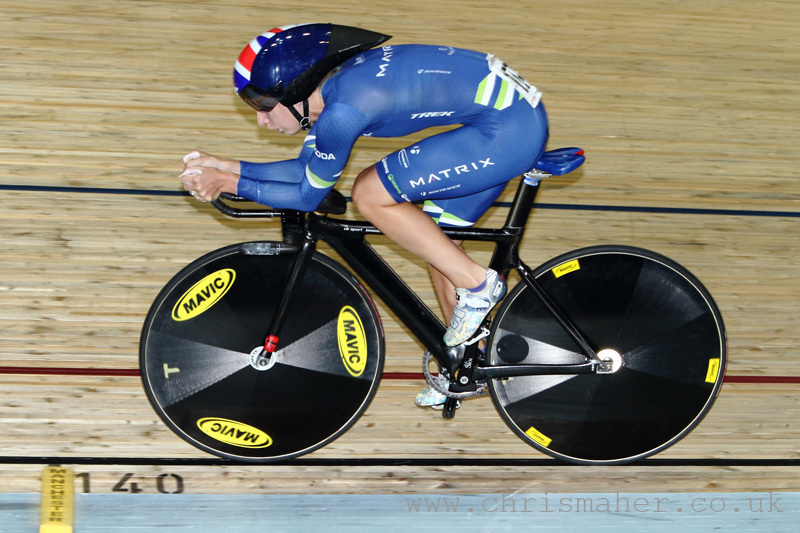 In a thrilling Gold play-off, Laura Trott, Matrix accelerated in the dying laps to reclaim the Women’s 3000m Pursuit Title from last years title holder Katie Archibald. 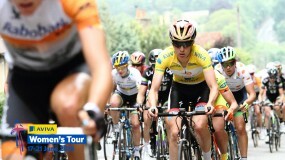 Ciara Horne, Pearl Izumi Sports Tours Int’l rode into the Bronze Medal position against team-mate Joanna Rowsell Shand. 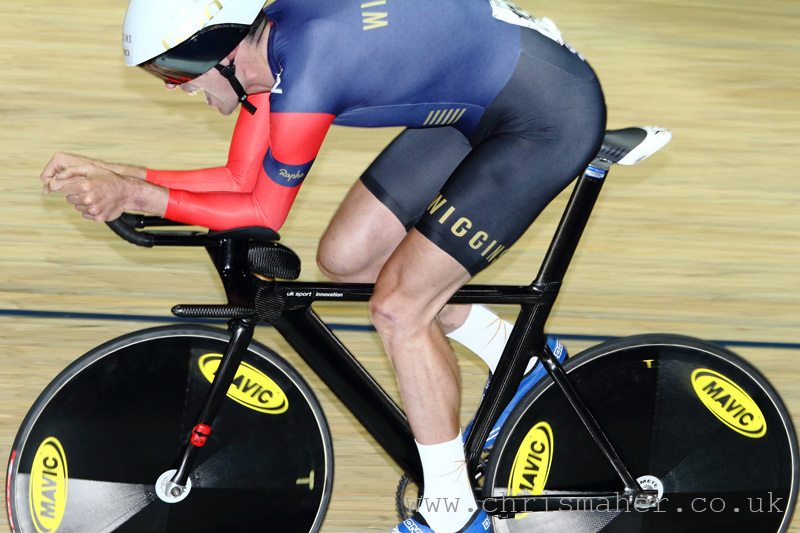 Timing his effort to perfection, Andrew Tennant, Team WIGGINS took the Men’s National 4000m Pursuit Title. 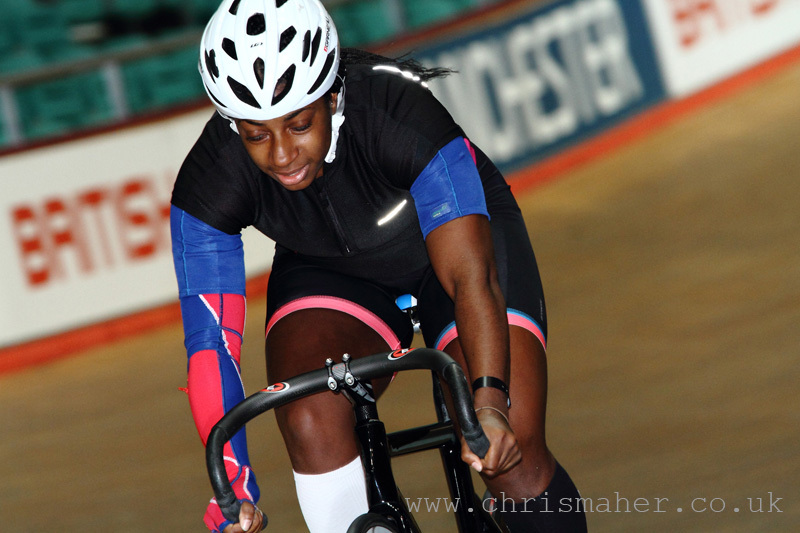 Leading the race for Gold through most of the session, Germain Burton, 100% ME looked like he was going to pull the title out of the bag, but Tennant showed his experience, kept his nerve, and turned the gas up the closing laps to become the new National Champion. 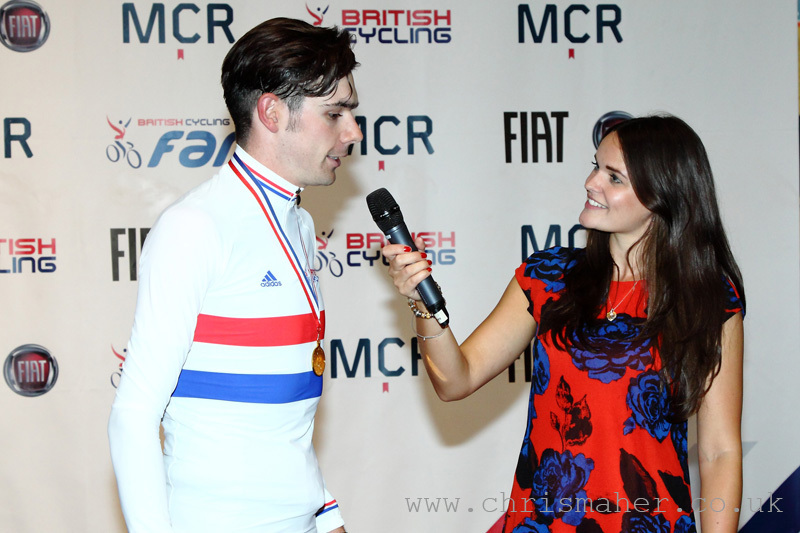 Matt Crampton, Unattached, takes the 2015 Keirin title. 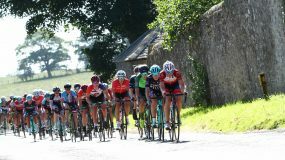 Matt had sat in the middle of the pack on the approach to the final lap and went around the outside to clinch the title from Oliva and Thomas Rotherham. 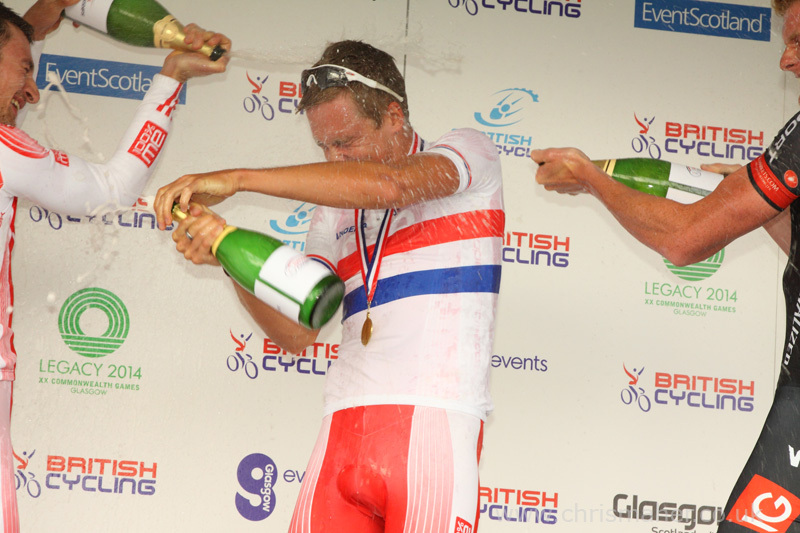 Jason Kenny took fourth, Matt Rotherham fifth and Jon Mitchell sixth. 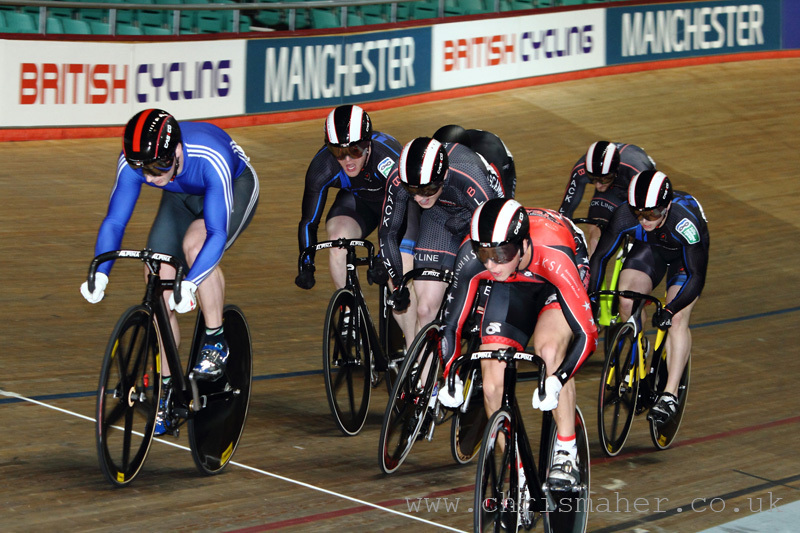 The Keirin had got off to a good start for Matt Crampton winning the first heat of the day. He then went on to win the semis too. A huge crash in the second heat of the first round, saw four riders flying through the air bringing their Championship dreams to an end. Luckily they all got up from the track. 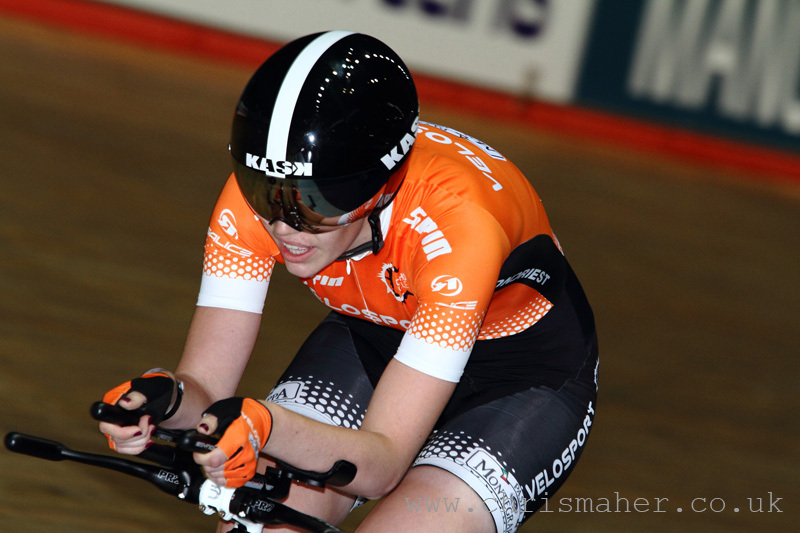 Katy Marchant claims her first National Sprint Title. 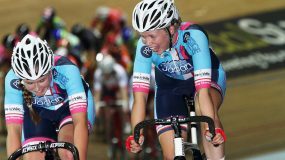 Winning the European Title earlier on this year has build on that success, beating former double World Champion Becky James, Abergavenny RC in both rounds. Victoria Williamson, VC Norwich beat Eleanor Richardson for the Bronze Medal in two straight sets. 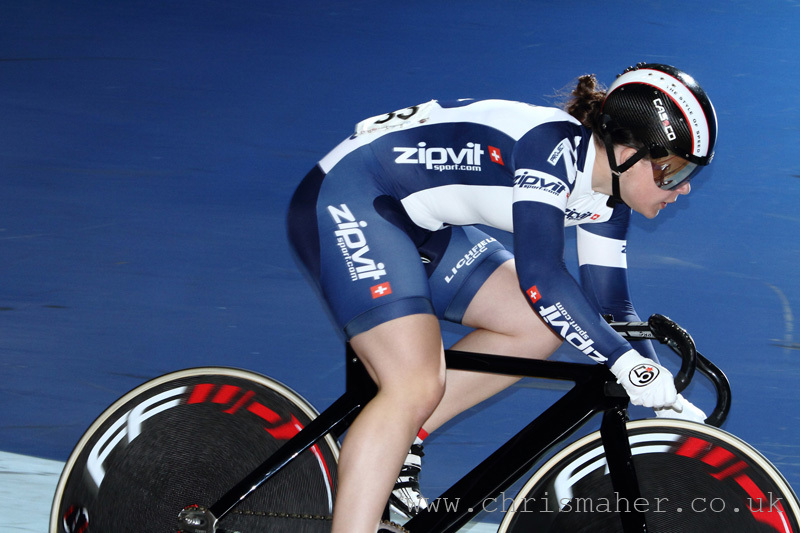 Former National Sprint Champion Jess Varnish, Team V-Sprint Racing won the minor finals for fifth followed by Rachel James, sixth, Sophie Capewell, seventh and Neah Evans, eighth.